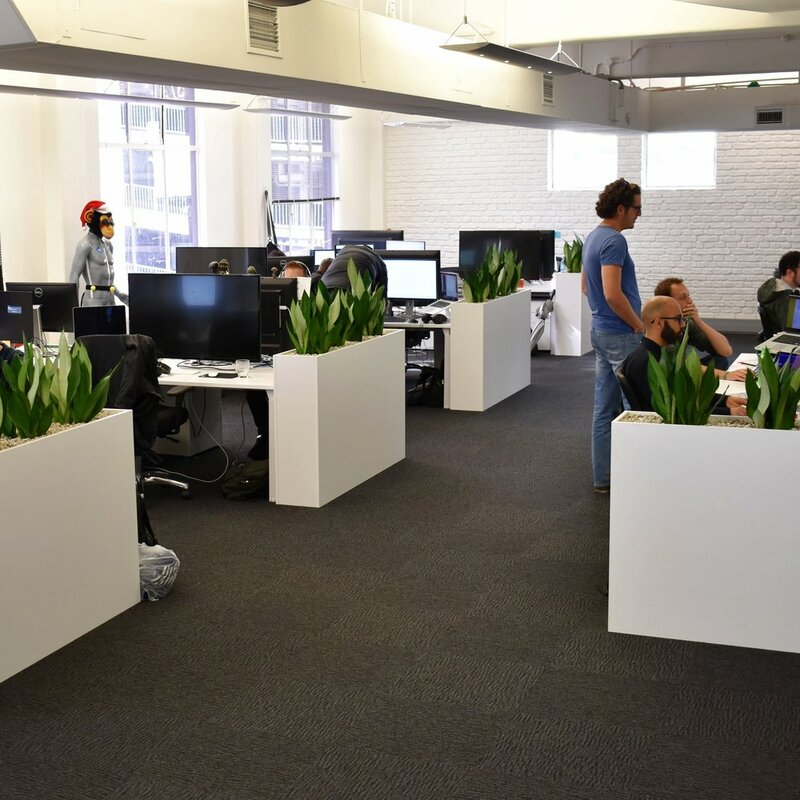 Roam contacted Pocketspace as they were acquiring an additional level in the Queens Arcade building and needed a professional to re-design the tenancy to suite their needs. Roam Creative is just that. 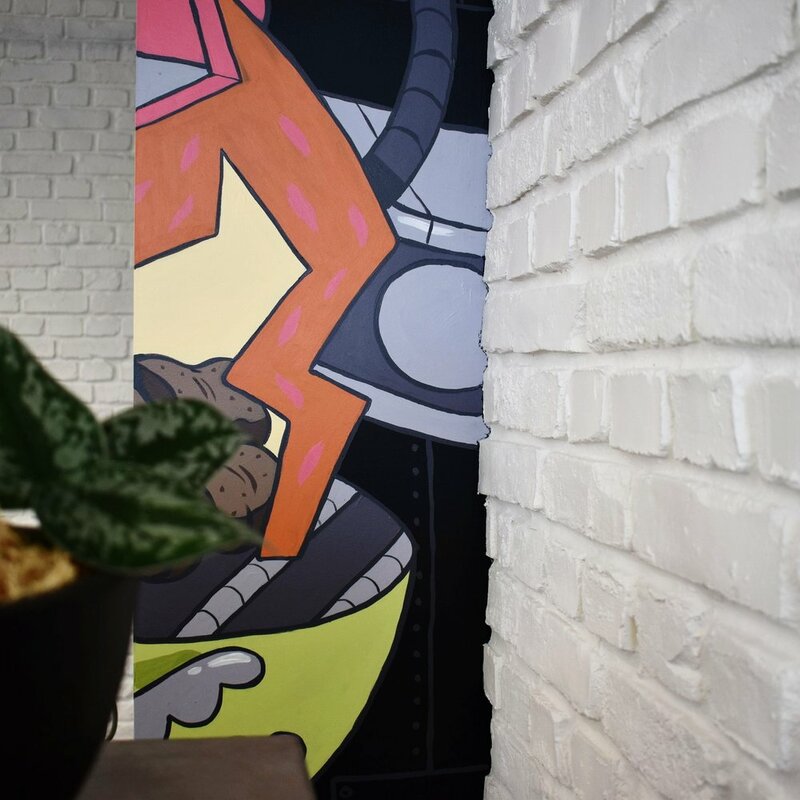 A creative culture at heart that loves to design and innovate digital solutions for their clients, and our role was to encapsulate their culture into a workspace that was badass. A space that people want to work in, retain staff, and all work together to create a strong company direction. We started with space-planning the two levels, created 3D renders, and selected finishes based on the renders and then install followed. 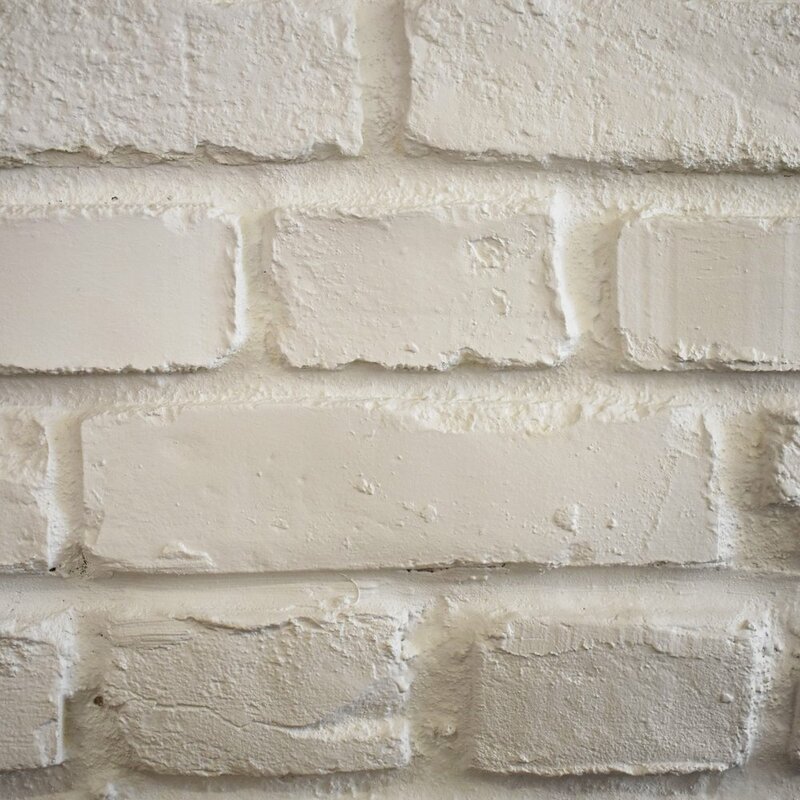 We specified a contemporary 3D brick application made from fibreglass that was applied to selected walls. This gave a New York loft aesthetic paired with the heritage style of Queen arcade architecture and fitted with the clients desire for a slight industrial Scandinavian, black and white space. Timber vinyl flooring was laid throughout the breakout and collaboration spaces to add some depth and warmth, whilst new paint, carpet and lighting gave the tenancy a much needed refresh. 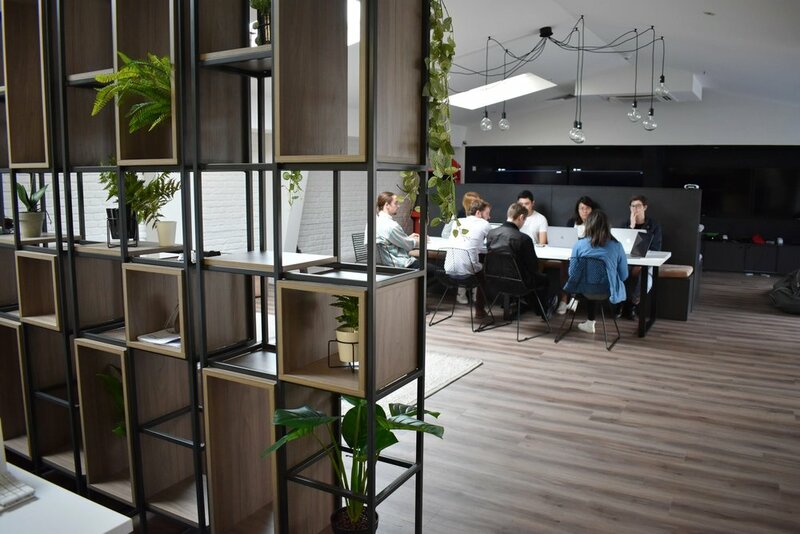 Collaboration spaces were high on the priority list as there were initially only three meeting rooms split over the levels, which were not enough to fit the needs of this growing company. We space planned to add an additional four casual meeting spaces. The first one is as you walk in, and there is no way you can miss it. With vinyl wood flooring and exposed mechanical services suspended, this space has a custom mural painted by Watermark at the heart of the space. Dotted with robots, social references and a bold palette it really makes an impact. 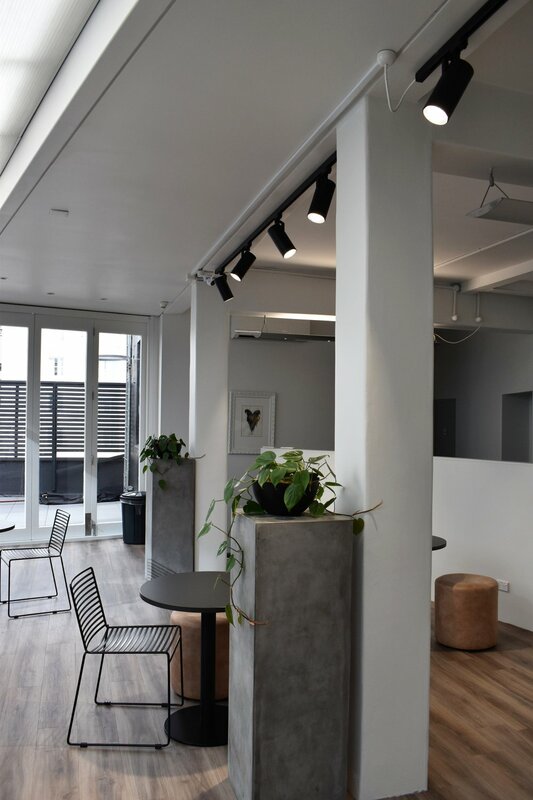 Subtle black wire chairs and concrete coffee table and pillars, the space works together to create a vibrant first impression and functions as a casual meeting space and reception. The desk tops and bases were left from the previous tenant and provided a fantastic blank canvas for us to add to. We colour matched the laminate on the desk tops and designed end planter units in the same finish to give each group of desks some distinction between work space and circulation space. The greenery added vibrancy and height variation to this industrial Scandinavian inspired scheme. On Level four we added in a high bar leaner with industrial drop pendants and sleek wire framed barstools for informal meetings and a place for people to have their lunch. Beyond this space is a high backed soft seating spot with laptop tables perfect for activity-based working or a catchup with a colleague. Level five was to be Roams main break out space. When you first walk in, we designed and created custom metal and timber plant dividers, which can be moved to suit the spatial requirement. Opposite this, we designed a plinth system that would provide a stadium styled seating arrangement. These plinths all connect to create a built in bench seat for the communal dining / meeting table with over head feature lighting, and on the other side a two tiered seating set up to accomodate the new gaming hub. This space is fantastic for group training, visual presentations and gaming battles on the many gaming consoles stored in the custom designed and built gaming cabinets, colour matched to the charcoal wall for the perfect gaming environment. For each bench seat we had custom squabs made. Leather look on the dining / meeting side for easy maintenance and wipe down, and a softer comercial grade felt on the game hub side. These same fabrics are replicated across the office space in ottomans and seating. Moving into the elevated, light filled space adjacent to the gaming hub we wanted to create a flexiable space for employees to utilise for informal meetings and a space to escape to for a change of scenery. This space works wonderfully during warmer months as it opens up to the patio creating the ultimate indoor / outdoor flow. We specified a mix of black wire chairs, beautiful leather look ottomans and simplistic tables with concrete look pillars dotted with plants. The black track lighting hit the monochrome Scandinavian style right on the head, and makes the space much brighter, suitable for task working. People are seen having an impromptu meeting at a free table, others having lunch while they check Instagram. The employees really own the space and are embracing the culture. Outside a slushy machine and BBQ is in full operation while the staff hangout on beanbags and NZ made ranch style picnic tables covered by umbrellas. The program took approximately 10 weeks and as designers, the best reward is going back to the space to see people totally emerged in what we have created for them. Pocketspace feel proud with the overall look and quality of commercial fitout for this workspace. Laura Lochhead & Lucy Sargent.